Lots of Monsters! Where did they all come from? Match cute monsters in rows and the victory is ours! Who are they and where did they come from? Nobody knows, but one thing is for sure...they can change Multland world for the worse! Don't let them win! Your favorite cartoons and fairytales are at risk, we rely only on you to help save Multland! 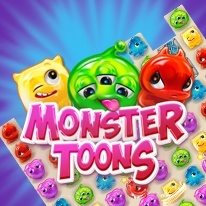 - Don't be deluded by cartoonish style: game is quite challenging!